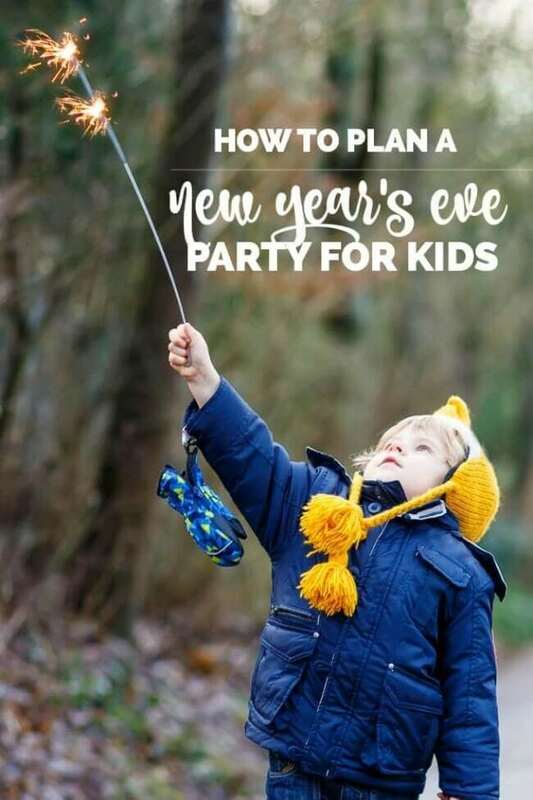 A New Year’s Eve themed party with kids is a super way to close out the holiday season! Whether you opt to add a little glam to the event or decide jammies are as formal as you want to go, you will find terrific ideas that will help you create an awesome party while you make fun memories. Discover suggestions for planning the party, a party kit, surprise activity ideas, countdown bag ideas + free printables, countdown banner, DIY hats, favors, poppers, noisemakers, wishing wands, “fireworks”, plus balloon countdown activities. 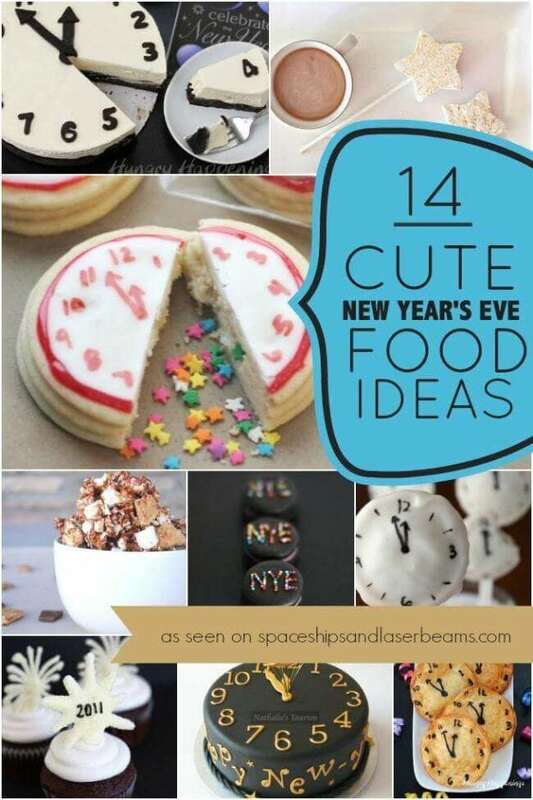 There are special treats too, including kid-friendly party drink ideas, edible horns, sparkling push-up-pops, ball drop cupcakes and midnight kisses. Hey—it sounds like a party! Happy New Year! Your guests will love these 29 Cocktail and Mocktail Recipes for New Year’s Eve. Create an event to remember with these Easy DIY New Year’s Eve Decorations. 1. Midnight Kisses :: Create.Craft.Love. If you are hosting a new years eve party this year, it can be stressful to figure out the details. From decorations, to party food, every detail has to be perfect. These Midnight kisses are a great idea to gift to your guests and so easy to put together! All you need to do is print them out, and attach them to some clear bags of store-bought chocolate kisses. You can theme the ribbon you use to attach the notes to the theme of your party! It’s no surprise that it can be difficult to keep your kids up until the countdown at midnight. Creating fun activities to keep my kids entertained has become an unconventional tradition for me around here. Just create these activities and balloons after your kids go to bed, put the activities in the balloons and write the times on them. When each time is met, your kids get to pop a balloon and do the activity in it! These printable clocks are so cute. Just get your new year’s eve activities and some lunch bags, cut out the clocks, and add them to each bag. This DIY New Years Eve Countdown Banner is so easy to put together. I love the elegance of a black and white banner to finish off any room you are decorating. Just print these out and add them onto your string with some clothespins. Easy! These party poppers use leftover toilet paper rolls so you can feel even better about recycling! The flashy gold screams new year’s. You can even have your kids help decorate them in the hours leading up to midnight. These paper plate shakers are the perfect way to use up those leftover paper plates from all of your holiday festivities. Have your kids help paint each side of their plates and then paint a layer of glitter onto them. Once they’re dry, just fill them with rice and have your kids decorate them! They loved playing with these when the clock struck midnight. You can choose any color you’d like to make them, the silver and glitter are a classic New Year’s Eve color. These balloon activities are so much fun for the kids. Start by printing out this awesome clock face, which allows you to draw the hands on it to select your times for the activities. Stick a rolled-up note with an activity on it from their list of activities, and when the clock and balloon match, it’s time to pop it and have some fun. This fun craft is a great way to help your children reflect on the year they have had, and helps them to think of the coming year and create awesome resolutions, hopes and wishes for it. Decorating the wand will be a lot of fun for them. Who says that all of the flashy glitz and glam has to be in the decorations this year? These easy fireworks ring are so much fun for the kits to make. All you need are sparkly pipe cleaners. Once they get one down, they’ll be making another one… for each finger. These sparkling Jell-O push-up pops are a fun, kid-friendly spin on classic champagne Jell-O shots. You can make grown-up versions by using unflavored gelatin as well as your favorite sparkling adult beverage, and juice for the kids. The candied fruit looks so elegant on these, and is super easy to put together. Just roll your fruit in simple syrup, and roll in coarse sugar. I love that you can flavor your push-up pops in so many ways! Who says grown-ups get all of the fun during New Year’s Celebrations? These party drinks are perfect for kids to enjoy and so much fun to make. From glow-in-the-dark, to color changing, there is something themed for every celebration and taste you might have in mind! This is such a cute idea! Each kid gets their own toasting glass, and once the countdown starts they can add their vinegar to fizz everything up when the clock strikes midnight. You can add any coloring you’d like, and your kids will be so excited! Each hour, you can fizz a different glass to keep your kids entertained until the grand finale. These ball drop cupcakes are best made with some help from little hands. I like to pre-make the cupcakes and have them iced and ready to go, along with all of the materials to make the ball drop piece. On New Year’s Eve, have your kids help with the dipping, sticking, decorating, and of course: eating! These edible horns are made with bright sprinkles and store-bought ice cream cones. They look just like real horns, but are completely edible. You just dip them in white chocolate and roll them in different colored edible sanding sugars, then let them dry. Add some fondant on the tip to create the mouthpiece and you’re set! These jars are perfect for kids who are fascinated by bright colors and fireworks. You will most likely have everything you need for them already at home — oil, water, and food coloring. All you need to do is mix food coloring and oil together, and pour it into a jar of water. The food coloring will leech out of the oil and into the water creating a beautiful spectacle all contained in a jar in your living room. This printable New Year’s Eve party kit is perfect if you and your family need to travel on NYE. Print out the labels, and pick up some sparkling beverage of choice, and goodie bag fillers to bring with you. I like to fill the bags with New Year’s related things like sparklers, balloons, horns, and confetti. Planning a New Year’s Eve Party for Kids can be stressful. You have to think of everything from food and drinks, decorations, activities, and ways to keep the children up well-past their bedtimes. This post covers everything you’ll need in order to host a fun party for your kids without pulling your hair out!